Spending time in a caravan is a great chance to get away from the stresses of everyday life. For many, one of the best parts of a caravan holiday is being able to take all your home comforts with you, wherever you go. But just like everything else, sometimes the appliances in a caravan need to be repaired. Here at Leisureshopdirect, we offer a vast collection of Dometic spares, enabling you to get your caravan refrigerators, awnings and generators back up and running. Should your appliance be beyond repair, we also offer a variety of new devices. Refrigerators and freezers are extremely useful appliances to have in your caravan. They come in a huge range of sizes and designs, so there's sure to be a Dometic fridge for your caravan. Between uses, a caravan fridge can often harbour unpleasant odours. So before you close up your caravan after a holiday, be sure to clean the fridge thoroughly. Pour some bicarbonate of soda on a bowl or plate, and place it inside the Dometic caravan fridge to absorb any remaining smells. And if the fridge will be turned off, prop the door open to allow air to circulate freely. If you have a Dometic fridge that runs on gas - or if you have any other gas-powered appliances in your caravan - you should also look into installing a carbon monoxide detector. This essential piece of equipment will alert you and your family if any gas appliances are producing toxic fumes. Dometic awnings come in a wide range of styles and sizes. From small shelters that extend a few feet from the door, through to large tent-like structures that nearly double your living space. Whatever kind of awning you have, be sure to take good care of it so that it lasts through many holidays. One of the best ways to do this is to wipe it down thoroughly to remove dirt and moisture before storing. Additionally, if your caravan awning uses guy-wires for stability, they can sometimes pose a tripping hazard. Make the lines more visible by hanging coloured ribbon from them to help avoid painful falls. You can also poke holes in tennis balls and place them over the ground pegs - this will make them stand out and will add some padding in case somebody does fall on one. If you travel to locations where electricity hook-ups are not available, a Dometic generator can be a very welcome accessory for your caravan. Caravan generators help to ensure that you never miss out on the comforts of home while enjoying the great outdoors. To get the best performance, you should take time to undertake regular maintenance on the generator and if you need any Dometic spares, Leisureshopdirect can help you out. Whether you're in need of Dometic spare parts, or a completely new appliance, look no further than Leisureshopdirect. As one of the largest suppliers of caravan parts in the UK, we're sure to have just what you need, including Smev spares and Seitz parts. And if you'd like to find out about the latest caravan news, why not follow us on Facebook or Twitter? We'll also let you know about any special offers that become available. Dometic Electrolux RM6270 Absorption Refrigerator Spare Parts. Battery ignition, wheel arch model.If the part you require is not listed, please contact our Customer Services for their advise. Dometic Electrolux RM6271 Absorption Refrigerator Spare Parts. Please click through to next page to see schematic diagrams. Dometic RM4210 Absorption Refrigerator Spare Parts, you will be surprised how much you can fit into this compact and comfortable fridge. Please click through to next page to see schematic diagrams. Dometic RM7270 Absorption Refrigerator Spare Parts. This fridge has now been replaced by the RMS8400 battery ignition, wheel arch model. Dometic RM7361 Refrigerator Spare Parts. Please click through to next page to see schematic diagrams. Dometic RM7401 Absorption Refrigerator Spare Parts. Please click through to next page to see schematic diagrams. Dometic RM7400 Absorption Refrigerator Spare Parts. Please click through to next page to see schematic diagrams. Dometic RM4400 L Absorption Refrigerator Spare Parts. 4-series compact classic single-door. Please click through to next page to see schematic diagrams. Dometic RM4401 Absorption Refrigerator Spare Parts. 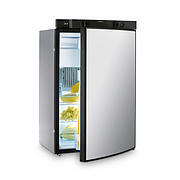 4-series compact classic fridge, single-door. Please click through to next page to see schematic diagrams. Dometic RM4230 L Absorption Refrigerator Spare Parts. Wheel-arch-design saves space. Please click through to next page to see schematic diagrams. Dometic RM4361 Absorption Refrigerator Spare Parts. Please click through to next page to see schematic diagrams. Dometic RM7605 + RM7655 Absorption Refrigerators Spare Parts. Please click through to next page to see schematic diagrams. Dometic RM4211 LM Absorption Refrigerator Spare Parts.The motorhome classic. You will be surprised how much you can fit into this compact and comfortable fridge. Please click through to next page to see schematic diagrams. Dometic RM7851 L AbsorptionRefrigerator Spare Parts. More volume with extra-deep fridge cabinet. Please click through to next page for schematic diagrams. Dometic RM2200 Fridge Spare Parts, please click through to the next page to see schematic diagrams. Dometic RM2260 Fridge Spare Parts. Please click through to next page to see schematic diagrams. Dometic RM2267 Refrigerator Spare Parts. Please click through to next page to see schematic diagrams. Dometic RM2262 Fridge Spare Parts. Please click through to next page to see schematic diagrams. Dometic RM7855 L Absorption Refrigerator Spare Parts. This fridge has been replaced by the RMD 8555. Please click through to the next page to see schematic diagrams. Dometic RM4281LM. The perfect choice on the road. Please click through to next page to see schematic diagrams. Dometic RM4230S Refrigerator Spare Parts. Please click through to next page to see schematic diagrams. 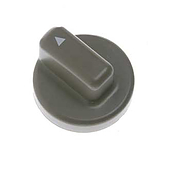 Dometic/Electrolux Spares for caravan fridges. 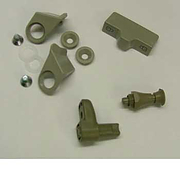 Accessories and spare parts for dometic and electrolux fridges. Below is a list of spares that you will need to repair your dometic or electrolux caravan fridge.